Enjoy maintenance free living in this fantastic move in ready home. This home features a spacious, open floor plan, fireplace, laundry on the 2nd floor, big bedrooms & beautiful natural light, walk in closets & double vanity in master bath. All the appliances stay with the property. This is a great neighborhood, close to restaurants and shopping. Blue Springs is located in Missouri. Blue Springs, Missouri 64015 has a population of 54,148. The median household income in Blue Springs, Missouri 64015 is $63,850. The median household income for the surrounding county is $46,917 compared to the national median of $53,482. The median age of people living in Blue Springs 64015 is 35.9 years. 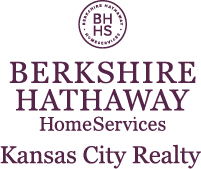 I am interested in 5503 NW Downing Street, Blue Springs, MO 64015.